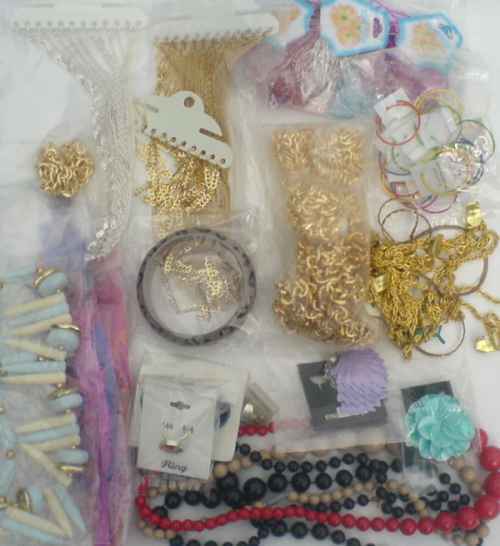 Clearance stocks ex warehouse, customer returns, pallets jewellery bulk lots. End of line stock and clearance jewellery displays, display busts, stands, necklace chain, rings, earrings fashion jewellery to clear. Wholesale bulk lots to the jewelry trade. Assorted Leatherette,Plastic,Velveteen etc. finish type Jewellery Gift packaging Boxes @ Only 49p each. 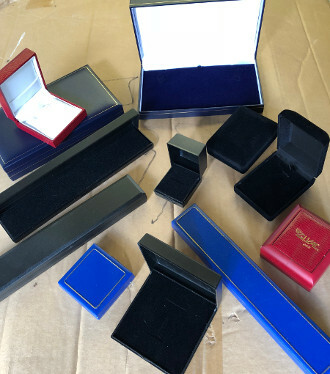 Clearance Lot of 60 Boxes, including Ring Box, Bracelet, and Other various Jewellery Boxes in different colours and velveteen, plastic and leatherette finish. 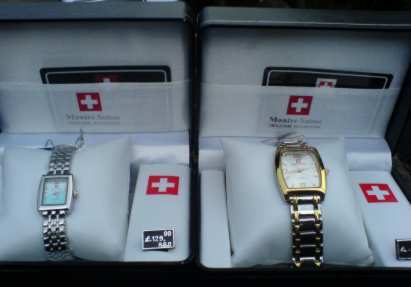 Clearance Lot of Swiss type style New Watches x 20 items. Please note this stock is sold as clearance, all should be working, clearance may have some damage to packaging etc. (some may require replacement battery in clearance stock) Assorted styles of Suisse Design Swiss style Watches all boxed with £129.99 RRP price tags. Price for lot of 20 watches at only 3.99 each. Sold as Clearance Lot of 20 Watches at 3.99 per Watch. Styles will be mixed mens/ladies (illustration shows example only)Lot of 20 price £79.80. No warranty whether expressed or implied by law will attach to any sale of Clearance stock. No warranty whether expressed or implied by law will attach to any sale of Clearance or Returns stock. We will not accept any returns from customers and no credit will be given for defective or incomplete goods sold as Returns Stock. Clearance Stock : Clearance Stock will consist of end of line goods and overstocks etc. believed to be in good condition. It may have damaged packaging or not include original packaging. Clearance Stock will be sold without guarantee as to fitness for purpose. No warranty whether expressed or implied by law will attach to any sale of Clearance Stock. We will not accept any returns from customers and no credit will be given for defective or incomplete goods sold as Clearance Stock. \nReturns Stock : Returns Stock will consist of goods returned by customers to the retailer or manufacturer and can also include overstocks or end of line stock. It may have damaged packaging or not include original packaging, have parts missing, damage, faults, or have been returned by consumers as unsuitable. Returns Stock will be sold without guarantee as to fitness for purpose and on the understanding that the purchaser makes any repairs to make goods safe before goods are resold to consumers. No warranty whether expressed or implied by law will attach to any sale of Returns stock. We will not accept any returns from customers and no credit will be given for defective or incomplete goods sold as Returns Stock. Pallet quantity Fashion Bangles Jewellery Clearance Stock. Clearance lot Bangles. 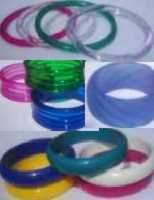 Quantity 2384 Fashion Bangles & plastic bangles. Please note stock may be returns or clearance end of line stock , mostly shop soiled only etc. \n\nFull lot listed below including Normal Wholesale. \nSold as clearance at only 39% of Normal Wholesale \nNormal Wholesale cost 'a31000. \n\n\n\nTrade Description Qty. \n137.50 Plastic Bangles 600 \n149.50 Plastic Bangles 600 \n51 .00 Plastic Bangles 180 \n270.00 Plastic Bangles 360 \n150.00 Lrg Plastic Bangles 200 \n128.00 Twist Plastic Bangles 80 \n30 .00 Expandable Bracelet 24 \n84 .00 Plastic Bangles 340 \n\n'a31000 TOTAL Normal Trade Price. \n\nSold as Clearance / Returns at 39% of Trade = 'a3390.00 \nQuantity 2384 plastic bangles. \nPallet size lot shipping to UK mainland Only (exluding NI); at 'a347.99 shipping charge (s&h added to item price for UK mainland only);.\nIllustration as example of type of goods only. Actual items colours and design may vary from illustration. Lot will include 2384 various bangles assorted colours. \n\nNo warranty whether expressed or implied by law will attach to any sale of Clearance or Returns stock.Clearance Stock : Clearance Stock will consist of end of line goods and overstocks etc. believed to be in good condition. It may have damaged packaging or not include original packaging. Clearance Stock will be sold without guarantee as to fitness for purpose. No warranty whether expressed or implied by law will attach to any sale of Clearance Stock. We will not accept any returns from customers and no credit will be given for defective or incomplete goods sold as Clearance Stock. \nReturns Stock : Returns Stock will consist of goods returned by customers to the retailer or manufacturer and can also include overstocks or end of line stock. It may have damaged packaging or not include original packaging, have parts missing, damage, faults, or have been returned by consumers as unsuitable. Returns Stock will be sold without guarantee as to fitness for purpose and on the understanding that the purchaser makes any repairs to make goods safe before goods are resold to consumers. No warranty whether expressed or implied by law will attach to any sale of Returns stock. We will not accept any returns from customers and no credit will be given for defective or incomplete goods sold as Returns Stock. 9 carat and 18 carat Gold and Sterling Silver assorted A Grade perfect jewellery stock clearance. 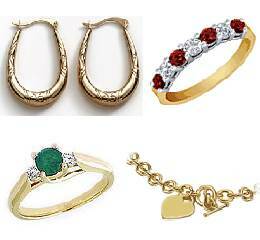 Lot includes genuine Diamond Rings, 9ct/18ct Gold jewellery, sterling silver jewellery etc. Full listing on main item page. Large overstock lot of 18ct , 9ct Gold , sterling silver and designer fashion jewellery at clearance price. Including 18 carat Gold Trilogy Diamond Ring, 9ct Gold Diamond earrings and rings plus designer fashion jewellery etc. All at obly 29% of MRRP to clear, full description on item page. Ben Sherman Steel and Leather large Keyring, branded product.